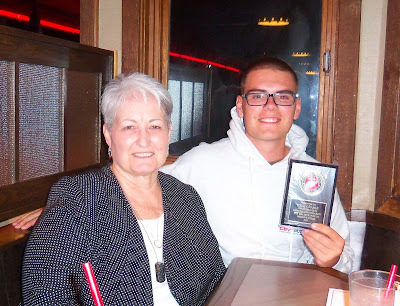 Commandant Al Lieski of the Utah State Department, Marine Corps League, honored Kyle Grable with a plaque for his accomplishments over the course of two Devil Pup seasons. Kyle just missed qualifying for 2016 Devil Pup camp, but went on to work out and prepare and in the process lost 50 pounds. He returned for 2017 tryouts and is now one of our honored Devil Pup graduates. Congratulations, Kyle! !